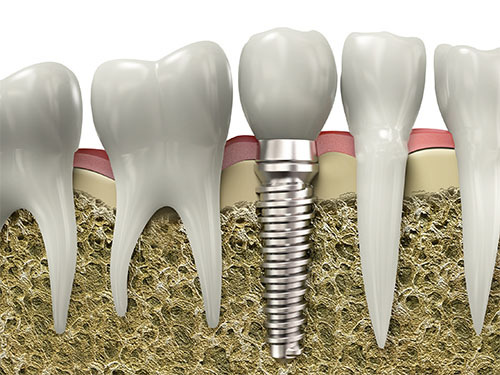 An implant represents a valuable investment that can entail great benefits to you. With proper care you should be able to radiate a pleasant smile for your whole life. This has been confirmed in scientific studies. However, proper dental care is essential, if you intend to enjoy the many benefits of your new teeth for a long time. Single tooth replacement in Budapest: no need to grind down the neighbouring healthy teeth when preparing them for bridge work. Over 98% of implant placement is successful. Missing molars: if there is free end, e.g., no molars on the far back, it is impossible to make a bridge work and in conservative dentistry the only possible solution is removable partial denture. With implant dentistry it is still possible to make a fixed bridgework most of the times. In the situation of the completely edentulous jaws, after a certain period of time the removable complete dentures become loose. Thus it is moving and it's difficult to bite, chew and talk with them even when lots of denture glue is used. With implants retained fixed dentures in Budapest, the function could be back to normal again. Missing neighbouring teeth: with a couple of implants, a partial bridge work can restore the function. In optimal circumstances, dental implants can work against the bone resorption of the edentulous jaws. With better functioning and appearance, implants retained fixed dentures can provide more self-confidence and success in nearly every part of your life. 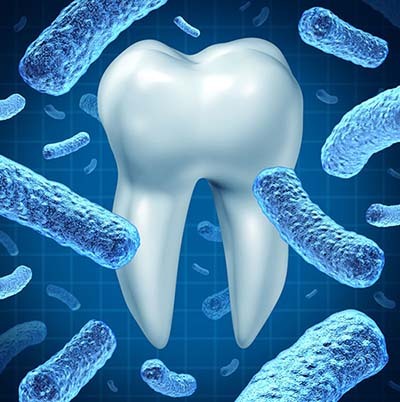 Bacteria proliferate and can lead to inflammation. Such inflammations represent a risk for retaining your implant. Thorough daily care using suitable cleaning aids is therefore a great importance. When placing the implants it is theoretically possible to injure neighbouring structures like the inferior dental nerve, the sinus cavity and neighbouring roots. With the right technique and planning these risks are reduced to minimal. Implant rejections are relatively low in approximately 2% of the cases. The secret of long-term implant survival is the right planning, regular check-ups and good oral hygiene. 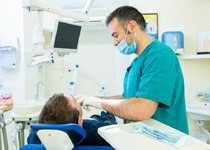 Dentist - Dental treatment in Budapest and London.